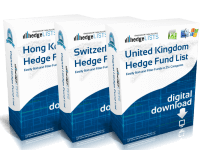 The United Kingdom / London Hedge Fund Database Contains detailed contact information for more than 475 hedge funds throughout the United Kingdom, including the top hedge funds in London. 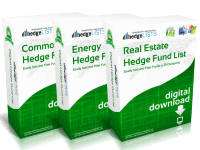 Includes the top hedge funds in the UK as well as smaller boutique funds. Download this detailed list of hedge funds in London and the UK in .xls (Excel) and .csv format. This is the most complete and affordable list of London hedge funds anywhere. 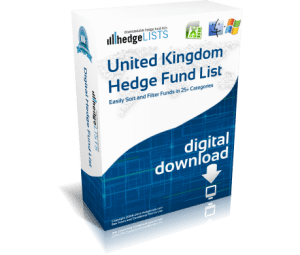 Immediately upon completing your purchase of the UK / London Hedge Fund Database List you will be directed to a download link for your list. The checkout process takes just two minutes. We are constantly updating our lists. 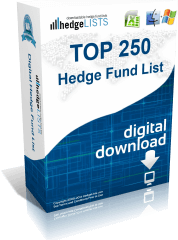 Every 30-60 days we will send you a link to download the latest version the UK / London Hedge Fund List. You will never be billed for updates. 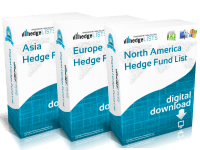 Without a doubt the best database of hedge funds in London. Well researched and comprehensive. Highly recommend. Great list. A couple errors, but to be expected on a list of this size. Considering buying US list as well. For less than $200 i definitely recommend this. Other hedge fund databases are extremely pricey. Very good value. The directory of London hedge funds exceeds my expectations. Looking forward to updates. Great value. Easy use in Excel. THank you.